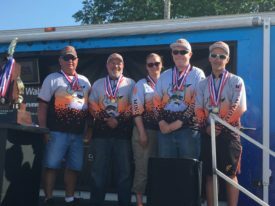 In just the second year competing, three Special Olympics Unified teams competing in the Unified Boat division were able to weigh fish at the Illinois High School Association’s Bass Fishing State Finals. Seven Unified boats competed – each with one high school Special Olympics athlete and one high school Partner – at the May 20 & 21 tournament at Carlyle Lake in southern Illinois. Thompson (partner) caught 4 fish for a total weight of 5 lbs. 1 oz. 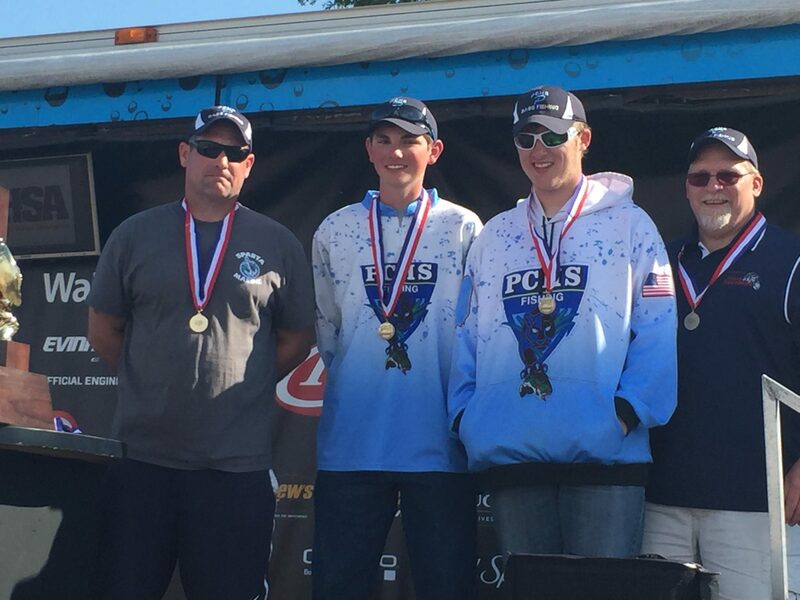 Second place Minooka Community High School team of Timothy Gibbs (athlete) and Glen Banaszak (partner) caught 3 fish for a total weight of 3 lbs. 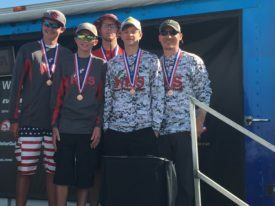 14 oz., while third place Huntley High School team of Ethan Nawrocki (athlete), Caleb Hill (athlete), Connor Hewitt (partner) and Connor Siddons (partner) caught 1 fish for a weight of 1 lb. 1 oz. Also competing in the tournament were two teams from Pontiac Township High School, and teams from Jacobs High School in Algonquin and Lexington High School.